Megamind critic David Thomson called Hitchcock “an inventor of thumbscrews”. In this twisted, diabolical love story, they’re firmly on Ingrid Bergman. 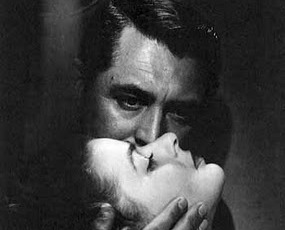 She plays a booze-sozzled floozy forced to marry nice-Nazi Claude Rains to help the man she really loves – shadowy American agent Cary Grant. A creamy-smooth suspenser with an inky heart of darkness, it’s Hitchcock’s most stylish dose of poisonous eroticism and arch misogyny. Nazis, alcoholism, sexual favours, blackmail… What’s not to like? On the terrific Criterion DVD release, the busting “Dossier” of extras (this being an espionage thriller) includes two loaded, erudite chat-tracks and some fascinating production correspondence (letters written by producer David O Selznick and others to Hitchcock during filming).